Five is a funny age, both with the literal sense of humor and with that delicate limbo between the child no longer being a preschooler nor an independent operator on all levels. It’s been wacky yet wonderful seeing T take on more and more responsibility and ownership as he gets older. It’s also refreshing to see how kids this age can try something once and fall (sometimes actually fall down, of course), yet get right back up and in there to try again. We can learn a LOT from a child’s perseverance and dedication in taking on new tasks and learning new things daily. Not just a few months ago this was how T’s room looked around his bed. I wish I had a better photo of the Thomas the Train stickers, but this was all I could find. There are about twice as many not pictured on the wall at the head of the bed. One place in particular where T has taken the responsibility reigns and ran with it is in his room. He got his “big boy bed” well over a year ago, and really no furnishings have changed in a while either. But one way the room has been morphing over the last few weeks is with what’s going up on the walls. What once was a train and transportation motif 100 percent now is a healthy mix of Smurfs, Diary of a Wimpy Kid, classroom crafts, things he gets in the mail, and superheroes. LOTS of superheroes. T starts to re-do his room in a “super” way. Thankfully, products have come along over the last few years that make it extremely easy to makeover a kid’s room from baby to boy (or goo-goo to girl) AND allow the child to be involved in the metamorphosis. Reusable wall decals have been a part of our lives since T turned three-years-old or so when we first got him a set of Thomas the Train decals. With those, I would put one up here and there when he was away at preschool. He liked the surprise of finding a new sticker on the wall every couple of weeks or so and never really moved them around too much. There are several reusable room decals on the market these days. These were the two boxes C and I got T for his birthday (as T refers to these, “both superhero crews”).We found these on amazon.com, both by the RoomMates brand, for around $10 a box. Each box typically contains between 25 to 30 stickers that can be placed on most wall surfaces and removed and re-stuck whenever the child wants to change the wall’s look. Just remember to keep the decal backings for when your child is ready to move onto something else as they get older. T was really into his recent room makeover thanks to his new reusable wall decals! Well, not anymore! T got a couple of new boxes of wall stickers from us as a birthday gift last month (something very high up on his wish list). Since getting them, it was very important for T to set a date with me to get those good guys (and some bad boys) up on the wall. But this time, it was all T’s doing and design as to where the stickers would go. I was only there and involved to be sure stickers didn’t rip when coming off the backing (which a couple did, so I was also there for some minor sticker surgery as well). It takes a bit of concentration to make sure some of the stickers don’t rip, but that was OK with T! T even stuck some decals on his toy shelf. Fine by me! A very happy T redecorating his room with wall decals. Now why didn’t we have these wall stickers when we were kids, RMT’ers?! And by the way, they are more than just wall decorations, they are pure happiness for kids. I can’t tell you how excited T was to makeover his room all by himself. And that got me thinking… of course he’s excited. His room is his world after all. Meaning, HIS world. No longer is T’s room a place where C and I have much influence over what toys he plays with, what books he reads, what he wears, and how the room looks in general other than it being picked up on a regular basis (still and will remain a point of contention from now and for years to come, but that’s a fight worth fighting). T’s room is not a nursery anymore, no longer a “baby’s room” nor a napping nest. It’s a play-space, a haven, a man-cave-in-the-making. The “after” of T’s bedroom wall makeover. To some, the walls around T’s bed might look crazy, but to T, it looks perfect. And that’s all that matters. It’s his room after all. All his. How are you allowing and encouraging your kids to express and expand their independence and take on more responsibility, RMT’ers? 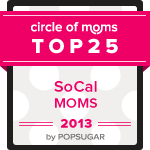 PS – Please click the badge below and vote for me – “Real Mom Time (RMT) – as a Top 25 Family Blogger in this Circle of Moms contest. Voting ends THURSDAY NOVEMBER 29, 2012. Thanks so much! This entry was posted in Crafts, Musings, Products and tagged bedroom, DC Comics, decorating, growing up, independence, kids, makeover, Marvel Comics, ownership, redecorating, responsibility, reusable, RoomMates, stickers, superheroes, wall decals. Bookmark the permalink. Thanks for reading and welcome to RMT!